Courtney Thompson and Meagan Richardson are living out their childhood dream. The women, both 34, are first cousins, and as children, they always wanted their own store. In fact, they once operated a pretend store out of their grandmother’s home. 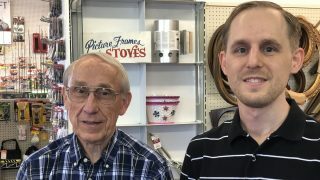 Now, their store is no longer make-believe – it’s reality, and the store bears the name of their great-grandmother, Nellie Mae, to honor her memory. In 2011, they officially opened the Nellie Mae Boutique storefront. 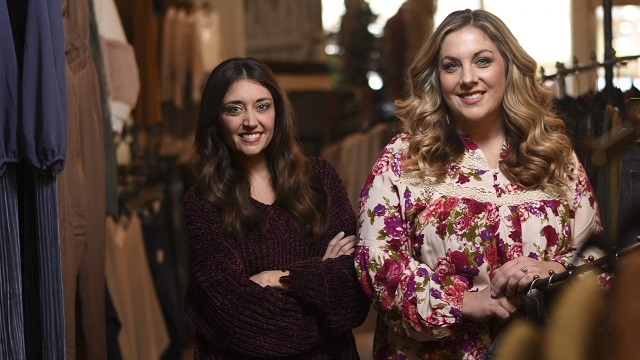 While they still sold furniture and picture frames, they quickly realized apparel was not only their biggest seller, it would also be their path to growth. Fast forward to 2018, and Nellie Mae has more than 10,000 customers a month, in store and online. The store carries the latest fashion trends in women’s clothing, accessories and shoes. They also design, create and sell their own wholesale T-shirt line; the shirts are in more than 1,000 stores throughout the country, making up as much as 50 percent of their sales. 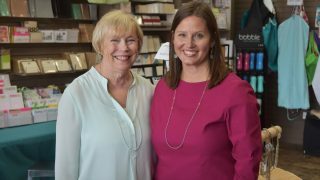 Their Tuscumbia location has become what Mayor Kerry Underwood calls, “the flagship to the retail industry here in our downtown.” In a 2017 recommendation letter for Thompson and Richardson’s Alabama Retailer of the Year nomination and subsequent Customers’ Choice Award win, Underwood described the two women and their team as “creative people who adapt easily to change. The changes they make, they make before the crowd does,” he added. It’s a sentiment with which Thompson and Richardson agree. “We aren’t afraid of change,” they said. Their unprecedented growth spurs largely from their keen eye for style and design as well as a forward-thinking social media savvy when it comes to selling and connecting with both returning and potential customers. 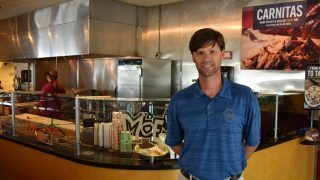 They also attribute Nellie Mae’s success to their staff, calling their employees their greatest strength. 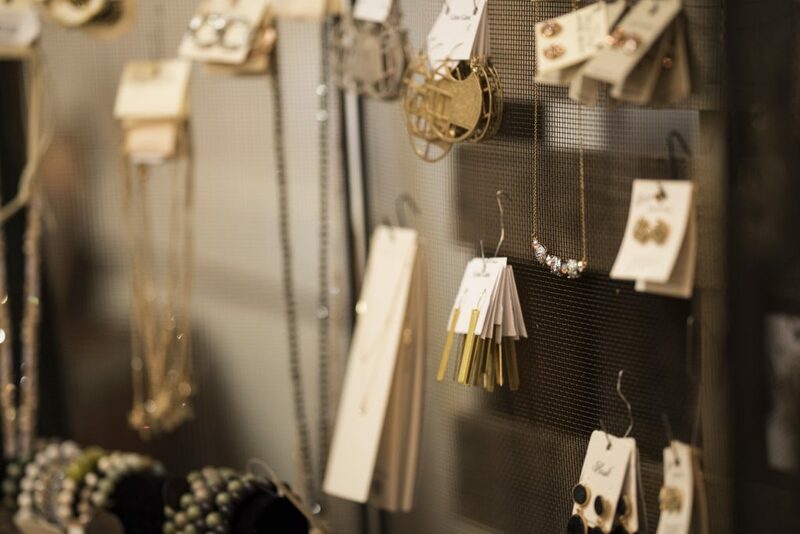 In each of the past four years, the store’s sales have grown more than 100 percent. With more than 135,000 Facebook fans and 38,000 Instagram followers, they style, photograph and ship every item themselves. In addition, a 10,000-square-foot warehouse helps them manage their enormous volume of product, which is purchased from customers all over the United States, some even internationally. Nellie Mae succeeds at selling on social media and online, but their connection to their local customers and community is what drives them. Their local customers are what makes the holidays especially meaningful for them. Right now, Thompson and Richardson are in the midst of their eighth Christmas-selling season and their favorite time of the year. While their holiday-themed merchandise started selling before Halloween, preparations started long before that. “We’ve become accustomed to buying sweaters in July,” Richardson said, laughing. 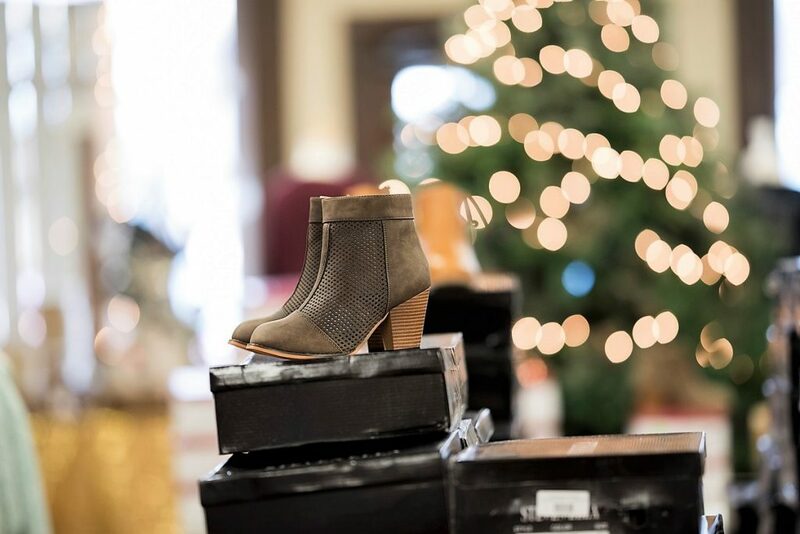 Aside from new winter clothing lines, the two plan several special events, sales and giveaways to coincide with their busiest shopping days, Black Friday and the weekend before Christmas. “This time of year, there’s something special about seeing mothers and daughters spending the day together, laughing and smiling, and just enjoying being together. What’s also great about shopping in a store is that you can fill up your arms with clothes, touch and feel the fabrics, and try things on together – it’s just fun,” Richardson said. The two are expecting another record-setting season. “We have put together some fun ads to drive traffic to the store and to our website. Our Christmas T-shirt sales have been huge, so we expect that to continue right up until Christmas Day or the days before,” Thompson said. The first cousins are enjoying the now, but they already have new ideas on the horizon. Both are wives and moms to young children, so they are thankful for the chance to work with each other and a hard-working, spirited and talented team of employees. “We launch our spring line right after Christmas, so there’s no slowing down anytime soon,” Richardson said.